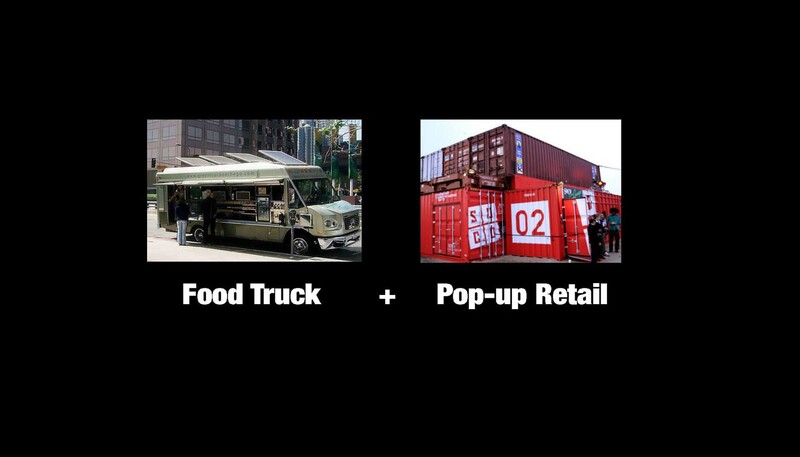 A mobile shop combines a food truck and pop-up shop. The idea is to offer shop owner a flexible to showcase their work in multiple cities. It is ideal for start up who needs media exposure and a buzz on social media. 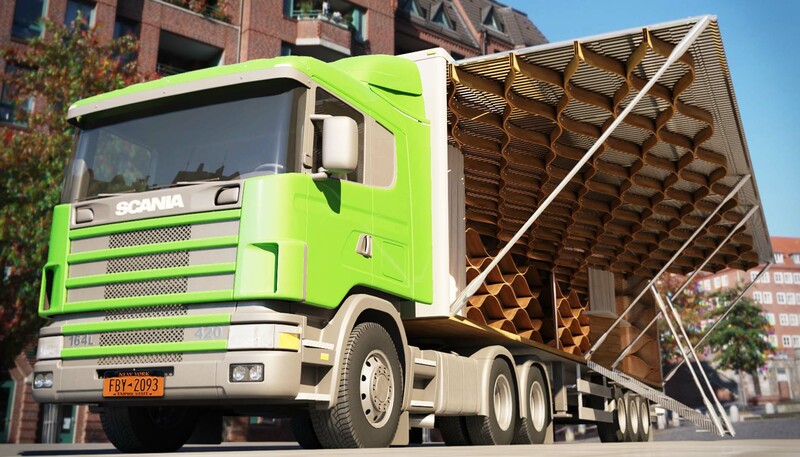 A mobile shop used light weight plywood to form multiple wave pattern. 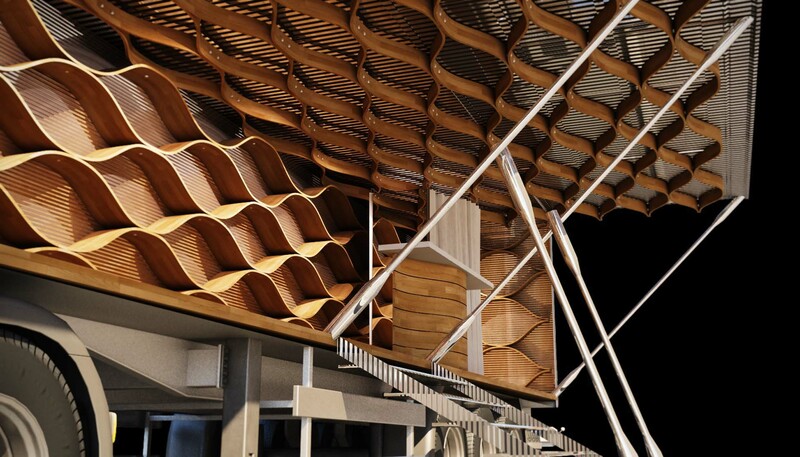 The wave functionally serves shelving but also visually ties the interior of the containers together. See our other mobile design for The Artist. 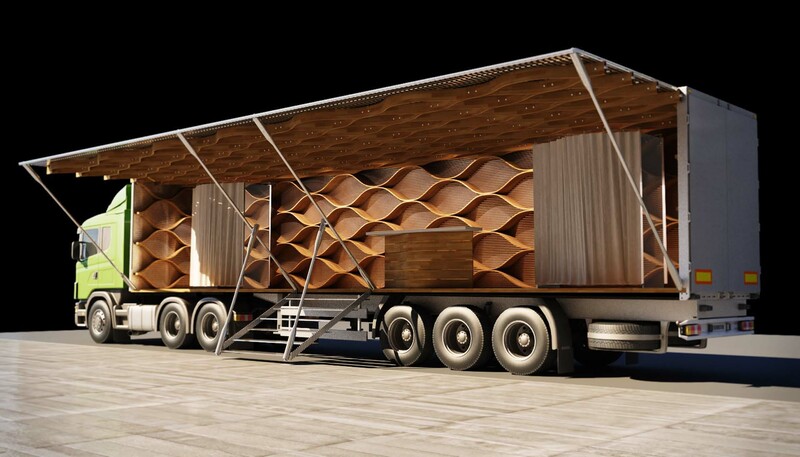 We designed a mobile shop that combines a food truck and pop-up shop. The idea is to offer shop owner a flexible to showcase their work in multiple cities. It is ideal for start up who needs media exposure and a buzz on social media. 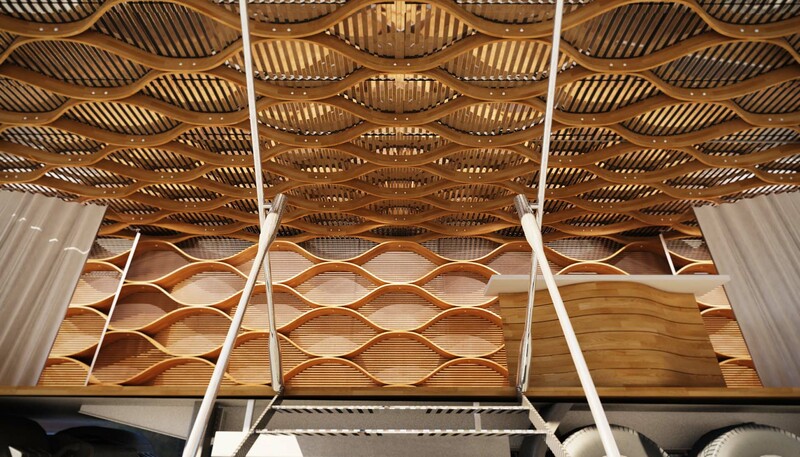 A mobile shop used light weight plywood to form multiple wave pattern. 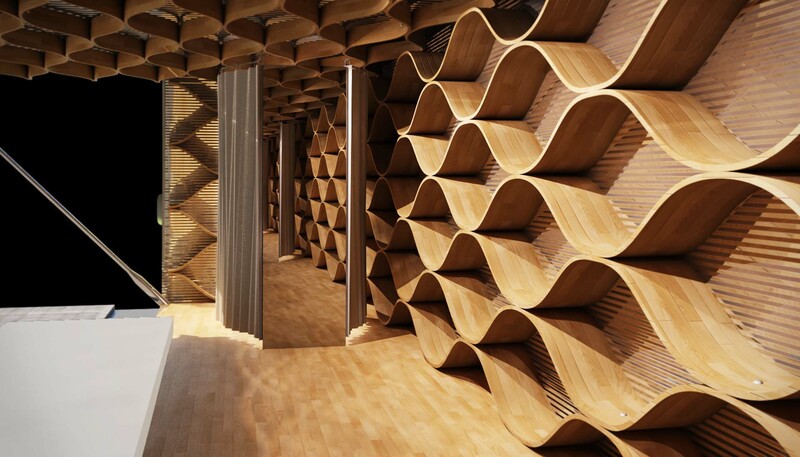 The wave functionally serves shelving but also visually ties the interior of the containers together.